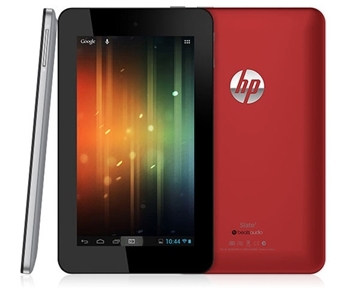 HP one of the renowned makers of computer, Laptops and other accessories related to computers has brought one more attractive thing their new 7 inch Android Based tablet the Slate 7 with an astonishing affordable price starting at $169. Slate 7 is an HP first Android Based tablet and HP announced this tablet on Sunday 24, 2013 at the Mobile World Congress show in Barcelona, Spain. At a cheap price of $169 as compared to other quality tablet which holds Dual core processor Slate 7 possibly be a big competitor for them. Slate 7 will be available for Purchase From April 2013.